Welcome to Project Life 2013, week 35. I spent this past weekend catching up on the last 3 weeks of Project Life, so I'm back on track. I also started thinking about where I want to take Project Life in 2014. When I think about having, say, a dozen or more years of weekly albums one day, it's a little overwhelming. But I don't have any desire to stop doing Project Life. I'm just thinking that perhaps I might swap to 1 page a week or maybe just no rules at all - document what I think should be documented and not worry about having a set number of pages per week. I really don't know. Just starting to think about it. 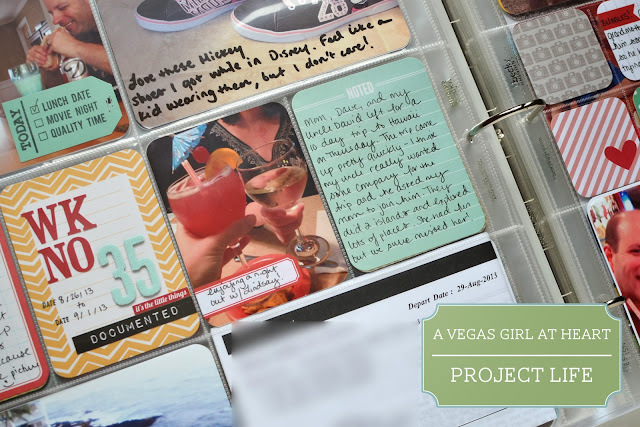 I used the Jade and Just Add Color editions of Project Life for these pages. 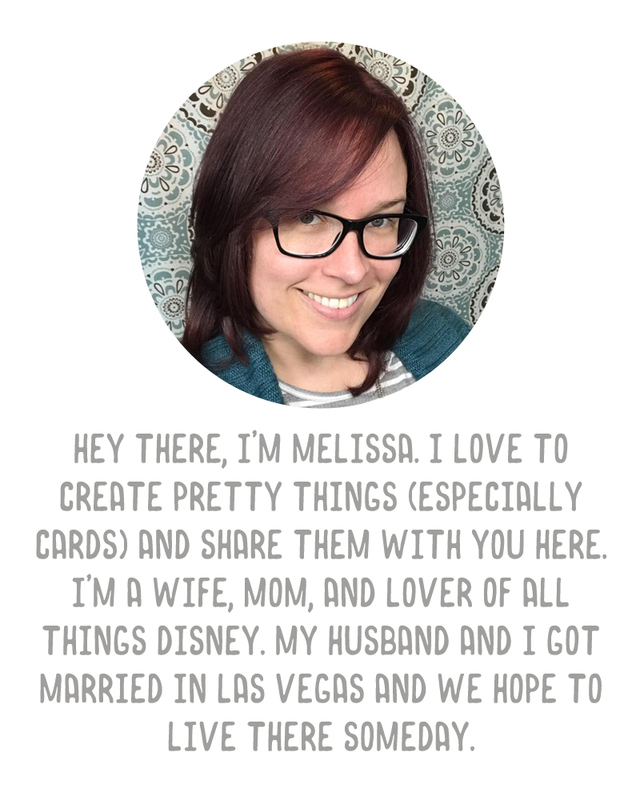 This week was our first week back from our vacation to Disney, and I was really busy at work, so there wasn't a whole lot going on until the weekend, when we went to visit my parents. My mom, her husband, and my uncle all went to Hawaii just a few days after we got back from Disney. I included the printed copy of her itinerary that she gave me along with a cell phone shot she sent me from their balcony. I know my mom won't document her trip beyond the pictures she has saved on her memory cards, but I wanted to note it in my album. I had drinks with Lindsay on Wednesday night, a little catching up and much-needed "no kids" time. It was lovely! 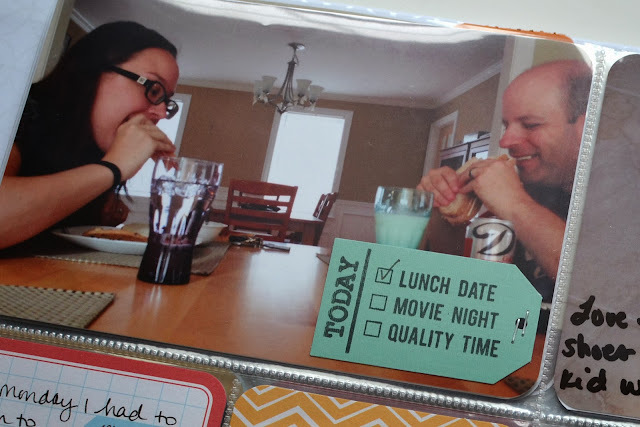 I used an EK Success punch with a stamp by Blinks of Life (specially designed for Studio Calico) and some textured card stock to make a tag to attach to the photo. I just stapled it right to the photo with my Tiny Attacher. This page is all about the day we took Austin to visit my dad and stepmother at their campsite. Austin had woken up with a fever from nap but seemed ok otherwise, and I wasn't sure if the fever was just him being warm from nap or maybe an ear infection, so we ended up giving him Motrin and taking him along to camp with us. He ran around playing at the site and the playground, so we figured he was ok.
At dinner Austin started to go downhill. He just didn't want to eat and ended up wanting just to cuddle in my lap, so we headed home and gave him some more medicine and tucked him into bed. He still had a fever at 3 am but by morning it had broken and he was perfectly fine. Unfortunately we missed a play date with our friends because we weren't sure what caused the fever, but thankfully he had recovered so we could enjoy the Labor Day weekend. That's week 35! Glad to be back on track. I hope you all enjoy the week. I am having similar thoughts about what I want to do for PL 2014. This was my first year doing PL, and while I love it, am thinking I might go with one page per week or even just a monthly spread next year. Will be interested to see what your thoughts are as we get closer to 2014. 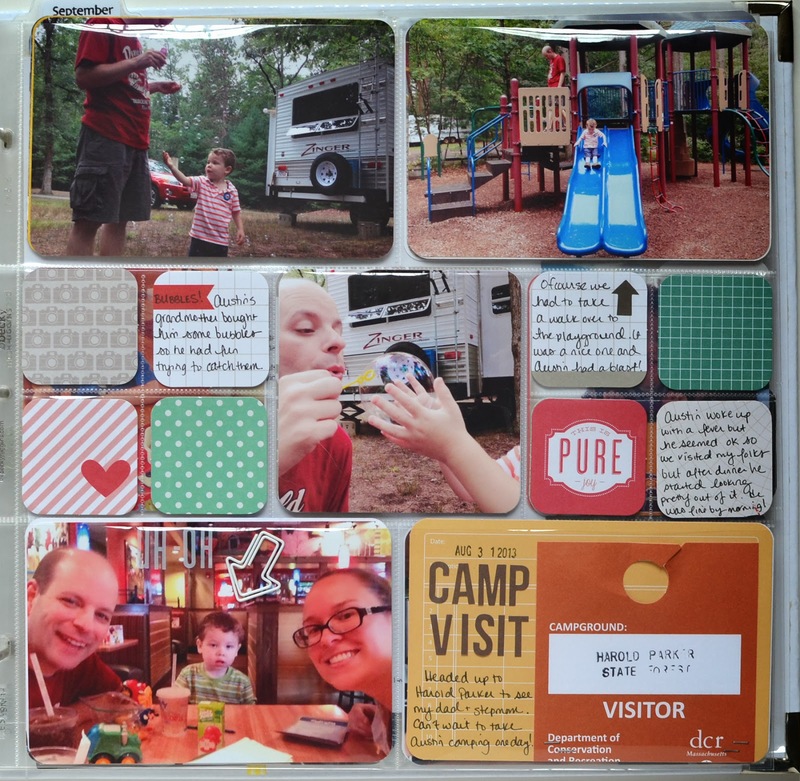 I saw a great video by a Project Lifer on YouTube (who got her idea from Annette Haring) and she's using the page protectors that have the one 4x6 card and 10 3x4 cards, and using Collect to print the pictures to add. 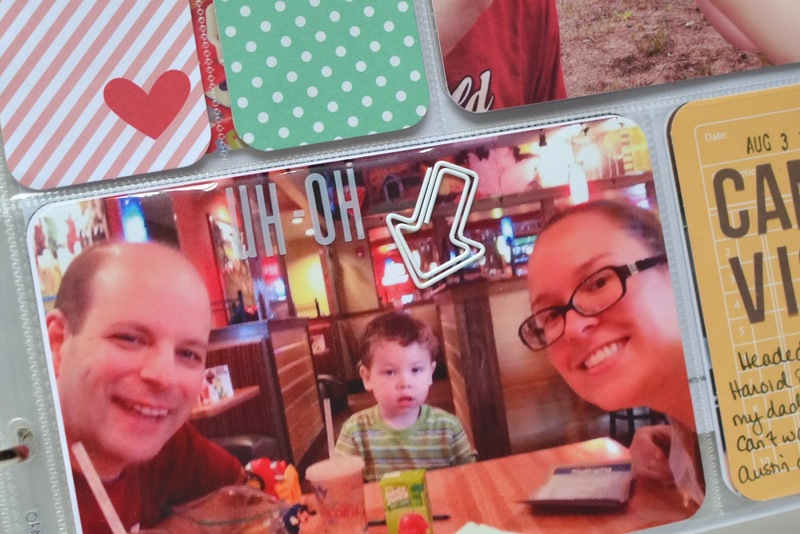 I like the idea of that...but I'm not sure that I could crop down all my photos to 3x4 size. I don't know. Haven't bought the album or protectors for next year yet so I have time to really think about it! 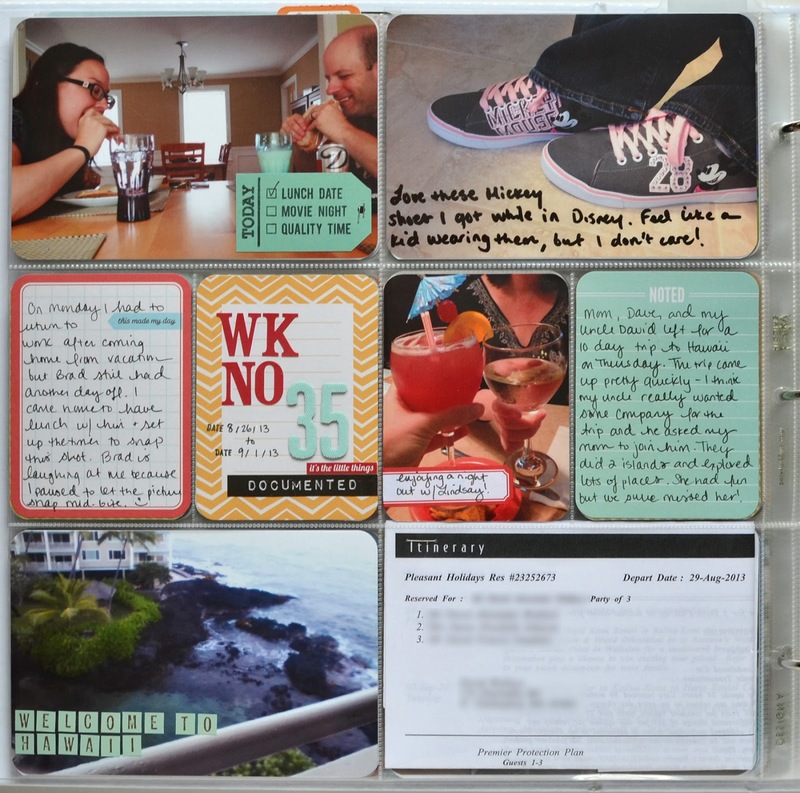 Maybe I do that way to just get everything documented but add inserts for photos I want to have larger/uncropped? It's so hard to decide!